From the 14th of June until the 28th of September 2008 the audience at The Art Centre Silkeborg Bad will be able to gain an insight into a highly interesting period in modern art. The Art Centre Silkeborg Bad has succeeded in borrowing more that 120 works of art by internationally acclaimed artists from a large German private collection. The exhibition offers a great opportunity for getting some idea of pivotal aspects of contemporary art. In the exhibition entitled "Call it what you like! 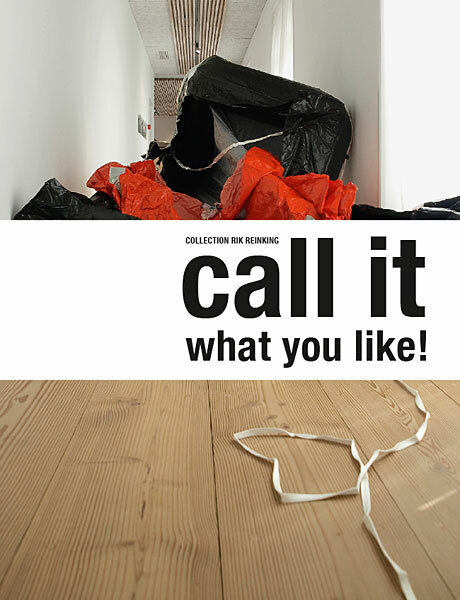 COLLECTION RIK REINKING", the audience will thus, in Silkeborg, be able to experience works of art which challenge the prevailing conception of art, from mid-June and three-four months onwards. The selection of works of art for the exhibition takes as its' starting point Conceptual Art of the 1960's and -70's, Minimalism, Pop Art and Street-Art. All of these categories are well represented in Rik Reinking's collection.